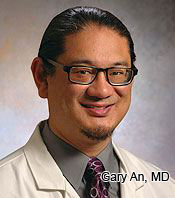 Regenerative Medicine Today welcomes Gary An, MD. Dr. An is an Associate Professor of Surgery at the University of Chicago. Dr. An discusses the application of complex systems analysis to sepsis and inflammation through modeling. For more information about Dr. An, click here. 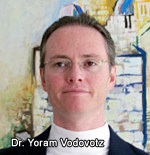 Regenerative Medicine Today welcomes Yoram Vodovotz, PhD. Dr. Vodovotz is the Director of the Center for Inflammation and Regenerative Modeling. 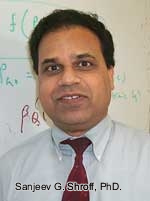 He is also a Professor of Surgery, Immunology, Computational and Systems Biology, Clinical and Translational Science, and Communication Science and Disorders at the University of Pittsburgh. Dr. Vodovotz discusses his research in wound healing and computational modeling. For more information about Dr. Vodovotz, click here. For Dr. Vodovotz’s previous podcast, click here. 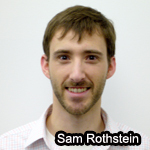 Regenerative Medicine Today welcomes Sam Rothstein. Mr. Rothstein is a chemical engineering predoctoral fellow in the lab of Dr. Steven Little. He discusses the lab’s research on the mechanics of controlled release and mathematical model-driven methodology. He also discusses his plans for a new drug formulation company, ChroKnow Solutions. Regenerative Medicine Today welcomes Sanjeev G. Shroff, PhD, who is the Associate Chair of the Department of Bioengineering at the University of Pittsburgh; Professor and Gerald McGinnis Chair in Bioengineering; Professor of Medicine; and Senior Investigator, Magee-Women’s Research Institute. Dr. Shroff shares highlights of his scientific studies on vascular stiffness and cardiovascular function as well as large-scale mathematical simulations of biological systems for research, education, and engineering design. For more information about Dr. Shroff, please click here. Most of us view inflammation in our bodies as something to avoid at all cost. Severe inflammatory situations such as sepsis, also known as systemic inflammatory response syndrome (SIRS), is a serious medical condition caused by the body’s response to an infection. Sepsis can lead to organ failure, gangrene, and even death. Clearly inflammation has a bad rap…but some inflammation can be good. It is essential to the healing process, and it is essential to understand inflammation to predict how drugs (new and proposed) impact healing. In today’s podcast, Dr. Yoram Vodovotz discusses the research that he and his colleagues are pursuing to model inflammatory responses in the body. They have used these models to successfully predict the outcomes of drug trials. While scientists and clinicians can’t know in advance what the outcome of a drug trial is, modeling and simulation can be a great tool to give a preliminary look. Such simulated clinical trials are attractive, as traditional drug trials are time consuming and may cost $50 -$100 million. Through modeling, it is possible to rule out which drugs may not work well in advance of the traditional drug trial. In addition the modeling tools of Dr. Vodovotz and his colleagues can be an asset in rational drug design, helping to define what characteristics the new drug should have. For more information about Dr. Vodovotz’s work, please click here.